The HTML popup is a useful feature that allows you to show a text box after a video ends. And since it's called HTML popup, you don't have to limit to just plain text. 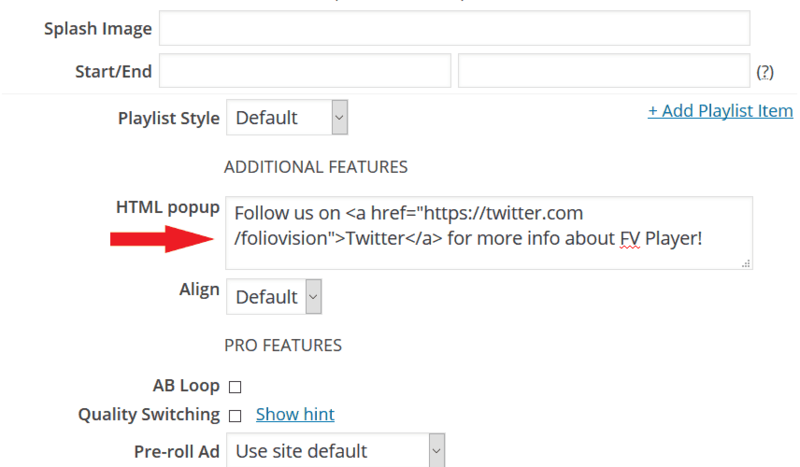 You can add clickable links, add images, set up styling and much more. This is a great way to get creative and for instance promote other content on your website, bring in some more conversions, or maybe raise the number of followers to your social media channels. Setting things up and running is really easy. Just go to Settings > FV Player > Post Interface Options > tick the box HTML popup > click Save All Changes. There are several ways to use this feature. The easiest one is to write the HTML code right into the designated box, when adding a new video through the Add FV Player dialog box. 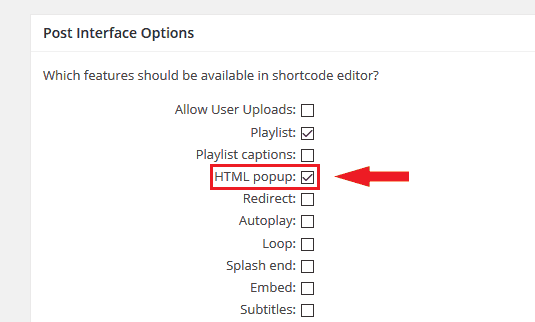 If you are using HTML code in your popup and would like to make changes, it's easier to navigate within that code, if you switch to Visual Editor, then place your cursor on the shortcode and click the FV Player button. 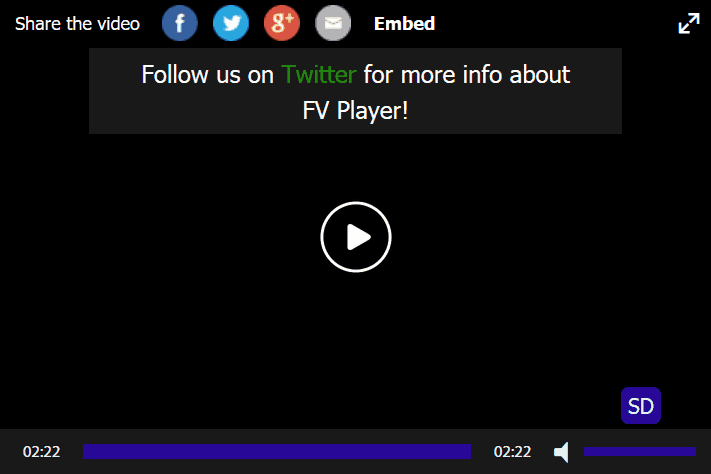 In the Add FV Player dialog box you will see your HTML code again with regular quotation marks without backslashes.